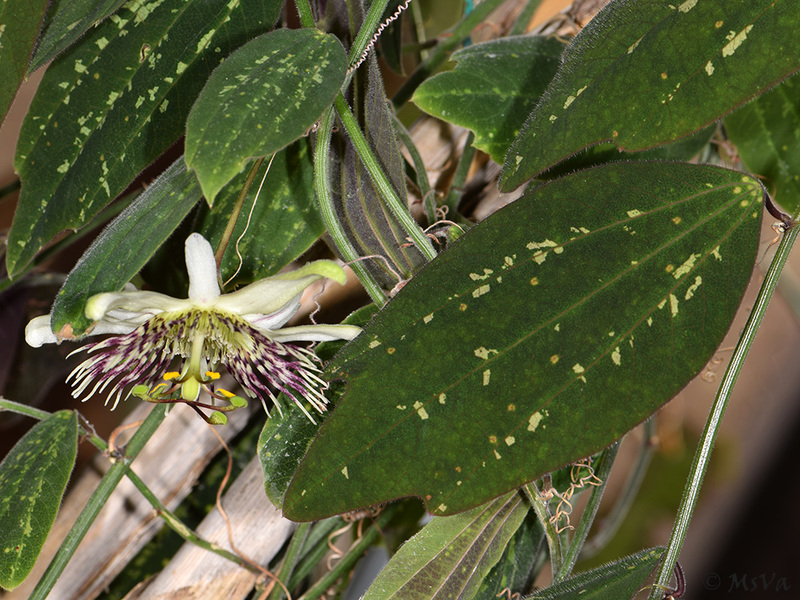 Passiflora hirtiflora P.M. Jørgensen & L.B. Holm-Nielsen is found in Napo: Flora Aequatoriensis, Prov. Napo-Pastaza, between Jondache and Archidona. It is rare and may be under threat from habitat loss. 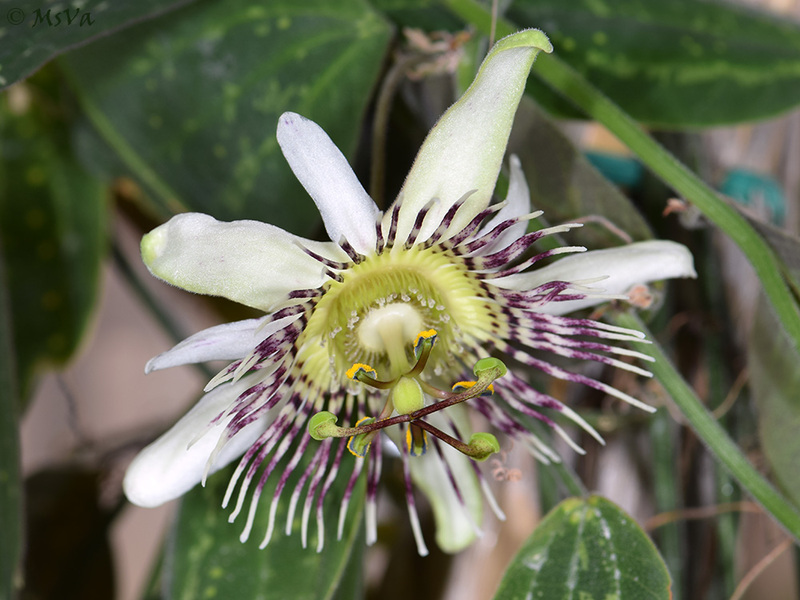 Passiflora hirtiflora shows spectacular flowers of ~6 cm diameter! It is a pity, that it is not easy in cultivation: it dislikes heat and suffers during central Europe’s summers, when it does not grow at all. Growth starts in autumn and proceeds all winter, when it also sets hanging flowers. 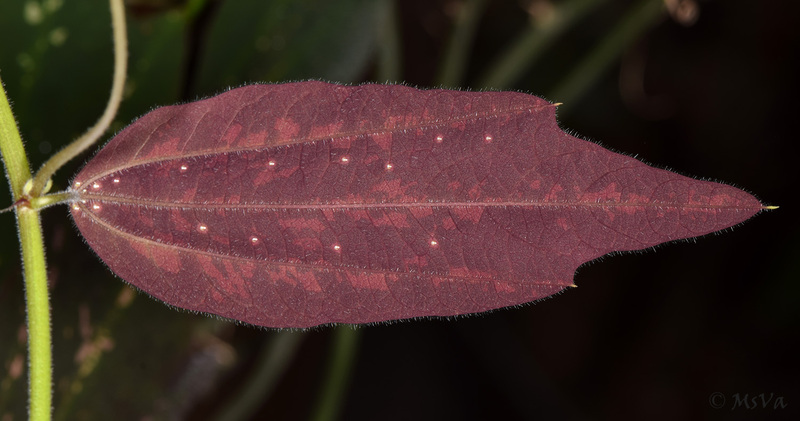 The leaves are also worth noting, as they are dark green with a bright pattern and purple backside. 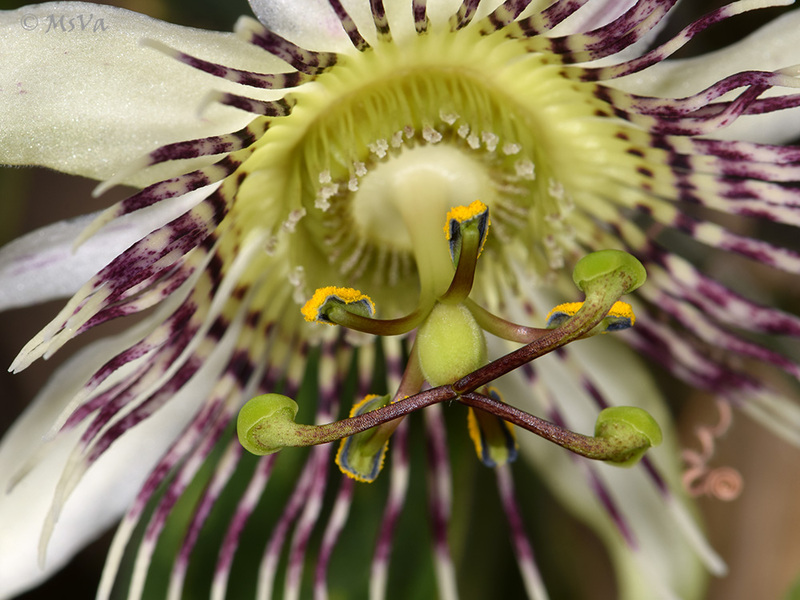 The whole plant is hirsute.